Have you ever wondered why coffee is known as “a cup of joe”? Of the Daniel, David, John and Michael(s), why Joe? According to an article published by Quartz, “Joe” is short for Josephus Daniels (1862-1948), former secretary of the US Navy. 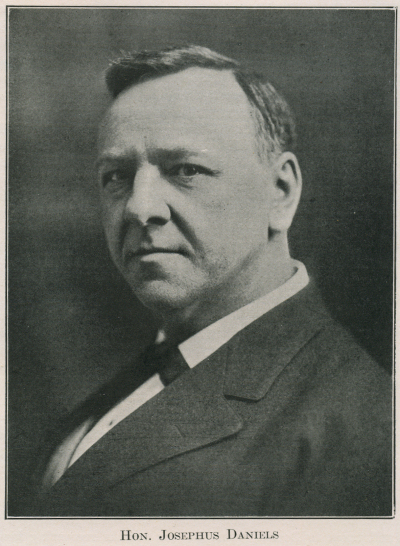 Daniels became secretary of Navy under President Woodrow Wilson. In an effort to establish strict morality, Daniels banned the consumption of alcohol. As a substitute, stewards increased their purchases of coffee, among other beverages, and Daniels’s name became linked to the daily drink of millions around the world. In New York, the perfect-cup-of-joe award was given to Joe the Art of Coffee. New York Magazine, Time Out New York and The Village Voice agree that Joe is The City’s Best Coffee. The chain’s 2012 addition, Joe Pro Shop offers a selection of esoteric beans roasted in progressive ways. This entry was posted in Did you know..., From other journalists on January 7, 2015 by Sherry. Boys take note, King Arthur said, "Let her decide"
"It's very French, macarons and tea"
On the road, but this time a mother-daughter team in "Miss You Like Hell"